I don’t know why the BBQ just ads such amazing flavor to everything! 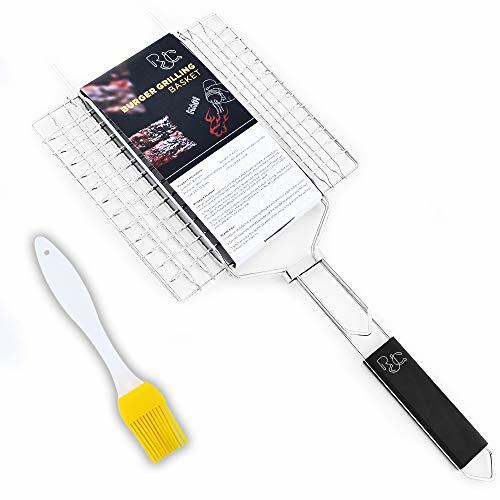 During the summer months, I try to grill as often as possible, I love to not heat up the house and the weather is perfect for eating outside too. I can’t wait to try grilling more fruits and vegetables this summer!! 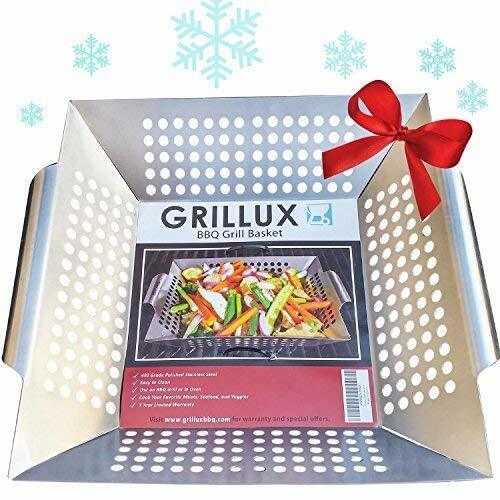 #1 BEST Vegetable Grill Basket – BBQ Accessories for Grilling Veggies, Fish, Meat, Kabob, or Pizza – Use as Wok, Pan, or Smoker – Quality Stainless Steel – Camping Cookware – Charcoal or Gas Grills OK Grilling with Veggies RJQ BBQ Grilling Basket, Portable Stainless Steel Grilling Basket for Kitchen/Outdoor Grill with Long Handle for Vegetable Fish Shrimp and Many Other Food. Eggplant– If you like eggplant but have never had it on the grill, you have no idea what you are missing. When you grill eggplant, the inside turns creamy and the outside becomes crispy. Just take the eggplant and slice it into slices about an inch thick. Then, brush the slices with olive oil and grill the slices about 6 minutes on each side, or until tender. Asparagus- Asparagus is great on the grill not to mention it is rich in Vitamin E, Vitamin B6, and folate. Just brush asparagus with olive oil and sprinkle with salt and pepper. Place the stalks of asparagus on the grill for 2-3 minutes or until tender. Wanna kick it up a level wrap it in bacon and secure the bacon with toothpicks. Portobello Mushrooms- Portobello mushrooms have a texture that makes them ideal for the grill. Brush some mushroom pieces will olive oil and cook them with the gill side down on the grill for 4 minutes and then turn them over and grill for another 8 minutes. Peaches- Peaches taste great when grilled. Just cut the peaches in half, remove the pit and brush some butter on them. Place the peaches on the grill butter side down and shut the grill lid. Grill the peaches for about 4 minutes per side or until charred. Berries- Berries are so delicious on the grill. You can grill any kind of berries from strawberries to raspberries to blueberries and any other kind you like. Mix together some lemon juice and sugar in a bowl and add the berries to the mixture. Then, take some aluminum foil, add the berries and seal the sides. Grill for about 10 minutes. Watermelon- For some delicious watermelon slices on the grill, brush them with olive oil and grill them for 3 minutes per side. What are your favorite fruits and vegetables to grill? 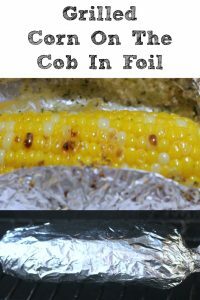 I love grilling Corn on the Cob! I also love grilling mushrooms. But I have never grilled fruit. I would love to try grilling Watermelon. It sounds incredible to try and see how it tastes on the grill. The only one of these I’ve tried is mushrooms and they came out great. I’d like to experiment and try grilling these! I love grilled vegetables in a salad. I have never thought of grilling watermelon, I will have to give that a go. I love to grill veggies, especially asparagus. I’ve had grilled watermelon but I haven’t tried peaches. I’m sure they are wonderful. nom nom! 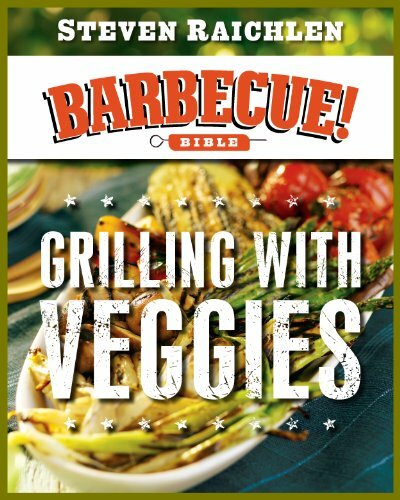 love grilling and what’s better than some yummy veggies and fruits to go with your bbq?!? thanks for this list and enjoy your week! Yea! 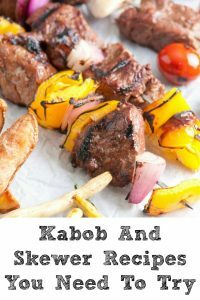 It is almost grill time here and this list couldn’t be more timely! Thanks for sharing! 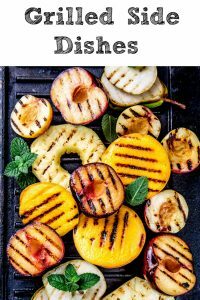 I love grilled veggies, but I haven’t grilled fruit before. Thanks for the tips! I’ll put them to use soon! 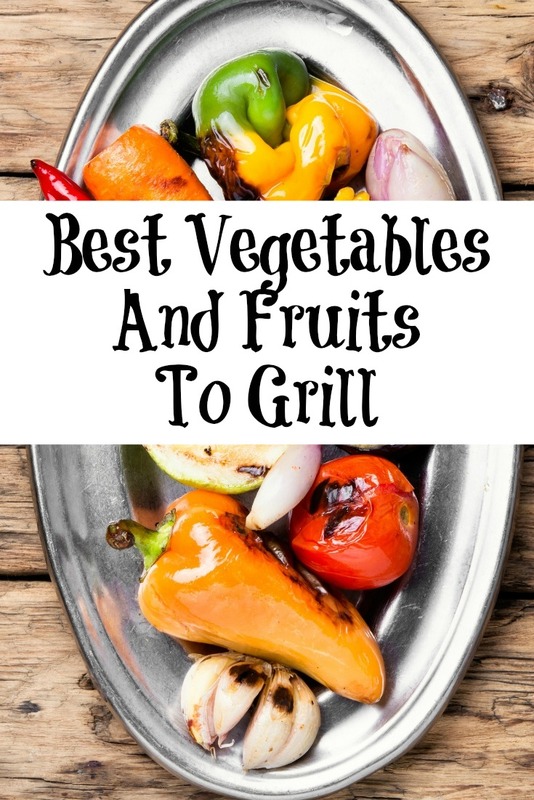 I love grilled fruit and vegetables! The grill adds such a great flavor. So glad we are getting into grilling season again! I love grilled vegetables. They just taste better coming from the grill … especially if you sit and eat them outside!